This time of year many people begin to celebrate the Advent of the Christ. 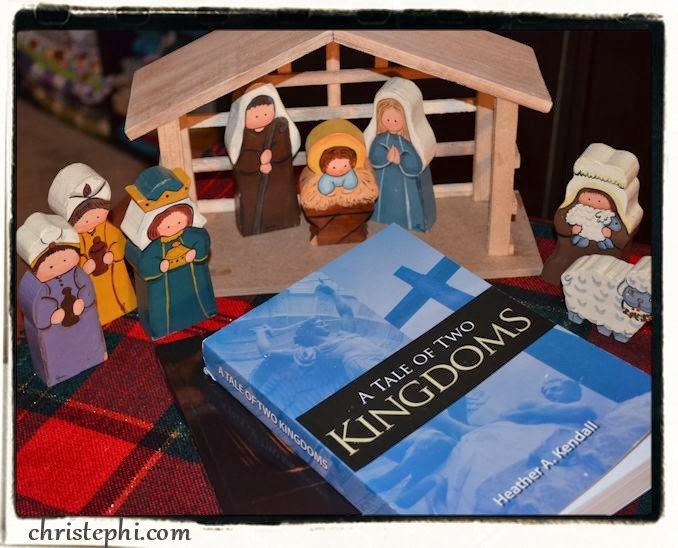 My kids love the activities, the calendar, the Christmas books, and the pageantry of it all. But yesterday I asked them why we celebrate Advent. Why is Christmas different from any other famous person's birthday? And what was the message the angels gave to the shepherds anyway? Babies are born every day of the year, but this was a special birth. This was the birth of the long-awaited Seed promised to Adam, the Messiah who came to save mankind from sin and death. And this is what A Tale of Two Kingdoms is about. 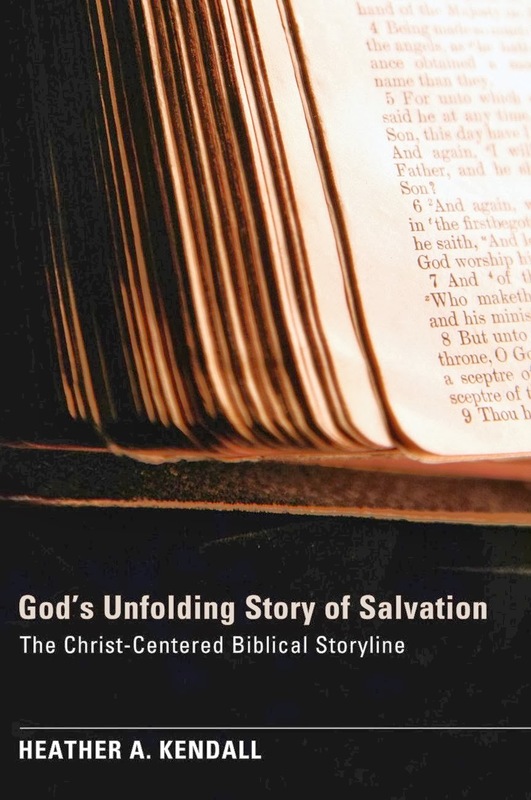 It is an overview of Scripture that presents a Christ-centered storyline from Genesis to Revelation. We live in a sound-bite world. But when Christianity is reduced to sound bites, it leaves a lot to be desired. Those who wish to know what the Bible is all about are left lacking understanding by the oft quoted one-liners and trite excerpts often presented to them. What we need is a solid overview of the entire Bible. And that is exactly what Heather A. Kendall gives us in A Tale of Two Kingdoms. She believes, and I concur, that one of the first steps of discipleship after salvation should be an understanding of the big picture in the Bible. First take a fly-over view of the forest before diving into a study of the individual trees that a topical study or study of individual books of the Bible would give you. This is a wise approach because it gives you a proper framework for hanging up the important details of daily Christian living. Price: $23 with free shipping from the author or $18.86 from Amazon. to trace the development of God's plan of salvation through Jesus, the promised Seed, from its beginning to its triumphant end in the new heaven and new earth. to consider how Satan has continually tried to thwart God's plan of salvation, but he will never succeed. While it doesn't exactly go hand-in-hand with A Tale of Two Kingdoms, Heather's other book God's Unfolding Story of Salvation is in one sense the same book as A Tale of Two Kingdoms, but reworked into an interactive Bible study format. 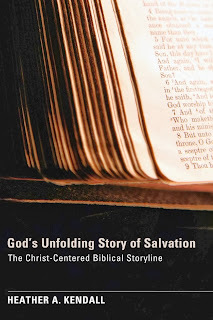 Instead of presenting the text to you as a read-through, it is presented in the form of 38 lessons with passages of Scripture to read, questions to answer, and a summary that faithfully leads you through the storyline of the Bible. This would be an excellent format for a group Bible study for teens or adults seeking to understand the Bible in its entirety. I wouldn't recommend sitting down to study with both books, because they don't align with each other in a recognizable way. But both are excellent in their own right. And a separate reading of A Tale of Two Kingdoms would certainly inform and enliven a study of God's Unfolding Story of Salvation! You may ask why you should read one of these books when you can just study the Bible? Honestly, you should do both. But the Bible is big. And there are a lot of "begats" that can really bog down your reading. In order to really get an aerial view of the Bible, you have to cut out some of the fat and get down to the bones. Heather has done that for you in these two books. Just like you may use a timeline to get a sense of where historical figures and events fit into history, you need a storyline for God's story, the Bible. Once you have built an understanding of the bones of God's story, you can take a closer look at some of the details with some of the other Bible studies out there. I loved that both books are Christ-centered. So many Bible studies out there today are self-centered focusing on personal application rather than focusing on the amazing story of redemption that is woven throughout Scriptures from Genesis to Revelation. 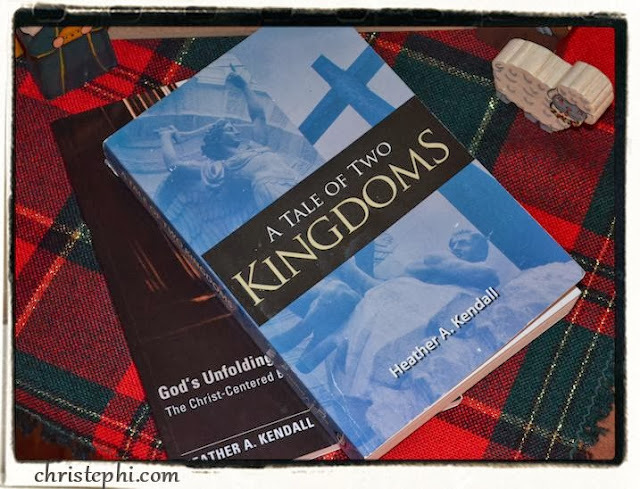 Rather than glorifying women or faith or blessings, Heather's books glorify God and are doctrinally sound. Because of that, I can recommend them without reservation! 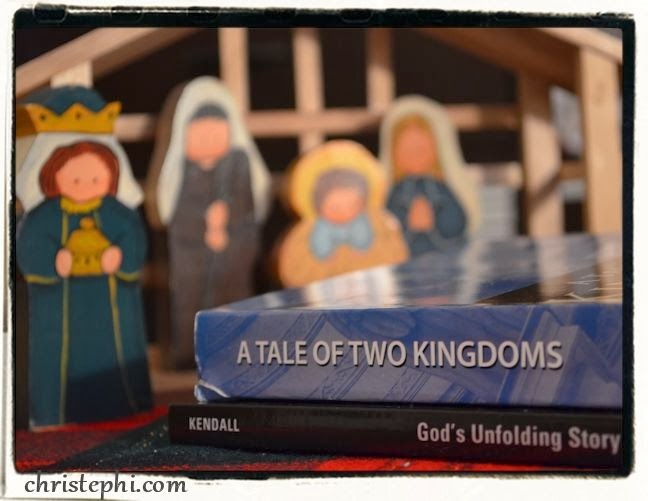 Either of these books would make excellent addition to your celebration of Advent this season or a Christmas present for any young believer or mature saint in your life. Or it might be your New Year's resolution (perhaps to go along with your Bible-in-a-year reading plan?) to gain a more aerial understanding of the message of the Bible. I loved reading this review! Very well done. Your review is excellent! I really liked the book too and it ended up on my Christmas list for a few friends. Thanks! I'm always glad to find a truly good Bible study!